What is Hand in Hand? Do you enjoy working with others in a friendly and dynamic environment? Are you passionate about big issues affecting older people in society and want to make a real difference? If this sounds like you, apply to be a St John’s Hand in Hand database volunteer! 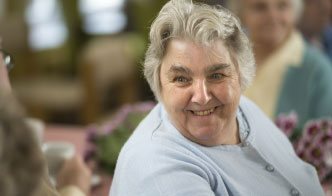 Do you feel passionately about social issues such as preventing loneliness in older people? Have you been looking to gain valuable work experience in the non-profit sector, or are you retired and want to devote some of your time? Apply to be a volunteer befriender! We are looking for experienced nursing staff to join our friendly team at Moorside, our specialist dementia care home. We’re always on the look-out for experienced care assistants to join our bank team. If you’re looking for flexibility and great working conditions, this could be for you.